The Steelseries 3HV2 Gaming Headset is priced at around £30 or $40 so they’re definitely not designed for professional use. The 3HV2 is designed to be a compact headset for the gamer who needs to travel a lot or who likes to play games on their phone or a portable console. Looking around the headset, you can see that the headset has a black and orange color throughout. Personally I’m a huge fan of this but I guess the color is all down to personal taste. I found that the orange wire complimented the black color of the headset and the volume controller. In the left earcup, there is a retractable microphone which I found was really hard to take out of the earcup but it’s nice that it’s removable. The microphone recorded decent audio, and I liked that when it wasn’t in use you could store it in the earcup so it wouldn’t get in your way. 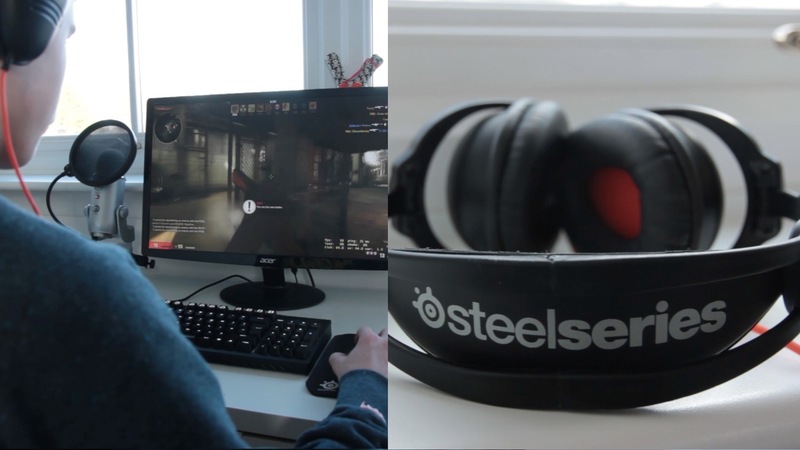 Moving up, we have a really thin headband at the top which Steelseries says makes the headset more comfortable. However, because the headband is so thin, it doesn’t really offer that much cushioning and therefor the headset is generally uncomfortable to use. Along the wire of the headset, there is a controller for both the microphone and the volume, this is included on most headsets so it’s nothing really special, but it’s good to have on something that costs this much. Right at the bottom of the wire, you have a headphone jack and a microphone input jack, and in the box there is a converter which converts both of these wires into 1 3.5 mm headphone jack so it can be used with devices that only have 1 input and output, such as a phone or tablet. 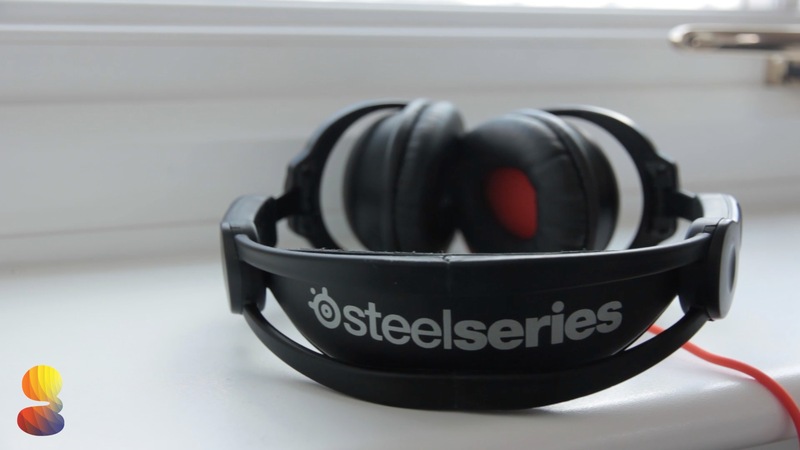 The Steelseries 3HV2 headset is an on ear style, so the earcups do not fit around your ears, they just sit on them. I found this design to actually be really uncomfortable for long periods of time, you would have to take them off at least every hour because they were so uncomfortable. I think this is down mostly due to the shape of the earcups, as they are an on ear design, but it is also down to how thin the cushioning on the earcups is. I think one of the reasons Steelseries went with this design choice is because of the folding ability. The headset folds in to make it easier to travel with them, which is a nice touch; but I would have prefered for them to make the headset more comfortable and to leave the folding ability left out. The most important thing about any gaming oriented headset is how accurately it can produce in game sounds and just how good it sounds in general. Unfortunately, even though this is a budget headset, the sound is poor. I wasn’t able to hear footsteps in games easily without really turning up the volume and sounds from explosions and gunfire really muffled out everything else while they were going on. The same goes with using them for music too, the sound of instruments or vocals just isn’t clear and the music sounds muffled especially when there is a song with quite a lot of bass. So to conclude, I think Steelseries has done a good job on making a headset that is sturdy and looks good, it is also very compact which is good for people who travel a lot. The sound quality isn’t good though, and if you want something that sounds better for this price I’d suggest going with something from Turtle Beach. But if you travel a lot and don’t take your music or gaming too seriously then you might want to consider picking these up.